It’s unlikely they will stop the FCC’s new anti-net neutrality rules from taking effect next month, but longer term, they have a shot at bringing back protections the rules offered. State officials, public-interest groups, and internet activists have launched lawsuits and public campaigns to try to reinstate net-neutrality protections. There’s little chance they will succeed before the end of April, when the FCC’s anti-net neutrality regulations go into force, legal experts say. But net neutrality proponents have a shot at bringing back the protections in the future either via the courts or Congress, according to the experts. This week, net-neutrality supporters organised an online protest using the hashtag #OneMoreVote to try to pressure at least one more senator to back the resolution. It’s likely the movement will get that vote, said Ernesto Falcon, legislative counsel at the Electronic Frontier Foundation, which has supported net neutrality. 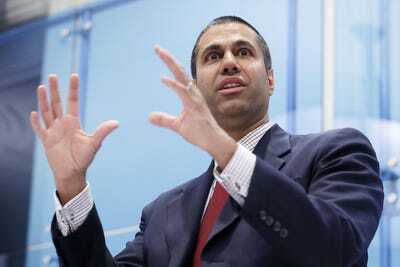 Chip Somodevilla/Getty ImagesFederal Communication Commission Chairman Ajit Pai, who led the effort to overturn the agency’s net-neutrality rules. Broadband for America, an organisation that includes Comcast, AT&T, and Charter Communications, attacked net-neutrality activists for trying nullify the FCC’s new rules via the CRA. Prior to the FCC passing its new anti-net neutrality rules, millions of people submitted comments, the vast majority of which were in favour of keeping the open internet protections in place. 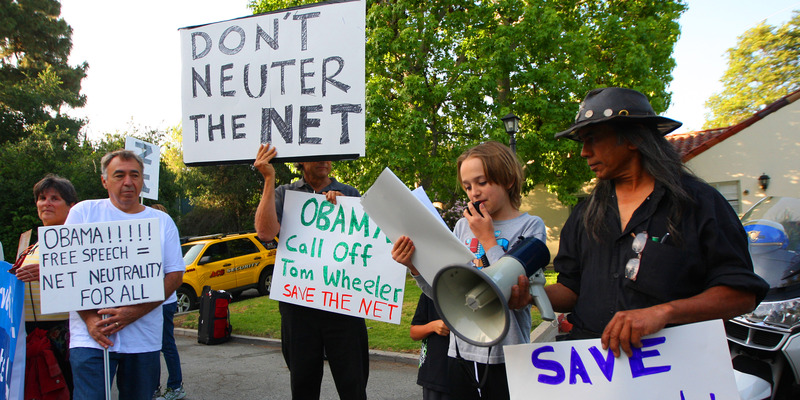 The agency pushed through its repeal of net neutrality protections anyway. Given the timing of the lawsuits and the uncertainty around the CRA process, the FCC rule overturning its net neutrality regulations will most likely take effect in April. The big broadband providers say that won’t mater, because they actually support net neutrality, even if they didn’t like the old rules. They have generally promised they won’t slow down traffic, block websites, or create fast lanes and slow lanes online.